A place like no other. An idyllic and very special riverside freehold. As featured in The Daily Telegraph. 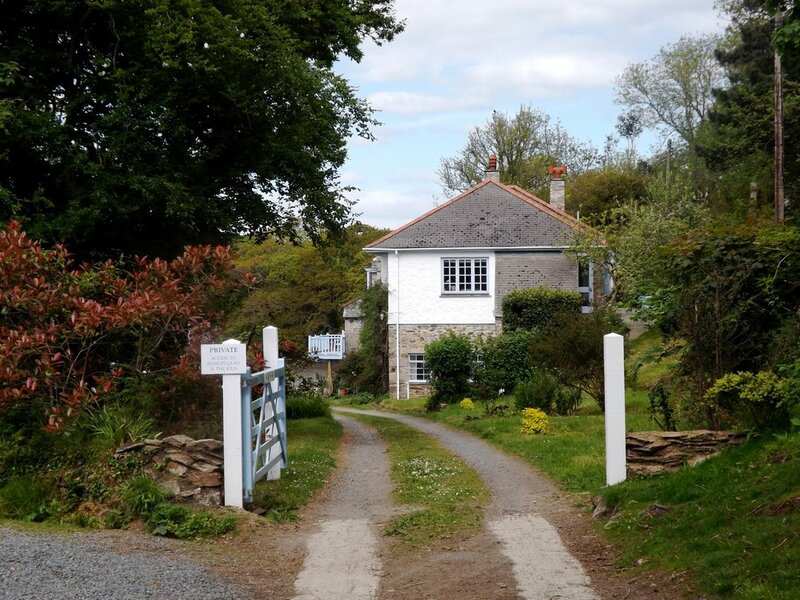 Peacefully set, down a private drive, away from roads, right on the riverbank and with only two near neighbours, here at Bishops Quay you can measure time by the tides. Stately herons patrol the channel, kingfishers dart from the jetty to the riverbank. The constant, haunting cry of the curlew is the backing track to the day. The startlingly white egrets form groups of tree decorations, distributing themselves tidily on the branches of the oaks that fringe the sides of Mawgan Creek and the Helford River. Whereas many views are breathtakingly beautiful to look at, this is the kind you actually inhabit. The water is your garden, a few steps to board your boats, nothing to interrupt your being at one with the estuary. The Helford River is one of the most beautiful and unspoilt rivers in Cornwall and has inspired many writers and artists, with its deep sheltered valleys, ancient oak forests and hidden creeks that cut inland along this sheltered part of the South Cornwall coast. The sailing facilities here are second to none, with the Helford River and Falmouth Bay offering some of the finest day sailing waters in the UK. There are excellent yachting facilities including the nearby Helford River Sailing Club and many deep-water moorings in the river. This unspoilt south side of the estuary is home to the pretty villages of Manaccan, Helford, St Martin and Mawgan. The charming market town of Helston lies about 5 miles away, providing a local hospital, schooling, supermarkets, a sports centre and a full range of shopping facilities. Nearby RNAS Culdrose offers facilities for private aircraft. The Lizard Peninsula is home to many of the most beautiful beaches in Cornwall and Gunwalloe, Poldu, Kennack Sands, Mullion Cove, Loe Bar, Kynance Cove, Porthleven and Coverack are all with a short drive. Due to the fact that Bishops Quay is only a short distance around the south side of the river, it is also within easy access of Falmouth, with its University and Truro with its mainline railway station, private schooling and shopping centre. Once part of the neighbouring Trelowarren Estate. Bishops Quay was first made into a home in 1947. The quays around the Helford and Fal Rivers are thought to have been built by Dutchmen. Apart from Tremayne Quay that was famously built for a proposed visit from Queen Victoria in 1846 (sadly cancelled), the many quays do seem to have been constructed in similar fashion. The owners greatly enlarged the quay and harbour around 35 years ago, the designs were done by John Worth, son of Claude Worth. At the end of the Second World War, Commander Kirby and his wife sailed up the Helford looking for a home and a place where Cdr. Kirby could make a living with a small yacht yard. They sailed slowly up and became becalmed at the entrance to Mawgan Creek, just opposite Bishops Quay. It looked to them to be their ideal spot – a three storey stone barn with a slate roof, the old lime kiln and adjacent stone building – a sizable stone quay and a yard surrounded by a stone wall. They were able to buy Bishops Quay from the Trelowarren estate in the 1950s. Commander Kirby’s personal emblem hangs on the balcony. It was the original emblem of the Lymington Sailing Club, founded by Cdr. Kirby, and was later used by the Helford River Sailing Club which he helped to found. Continuing the Bishops Quay maritime heritage, Cdr. Kirby’s son Ben fished from Bishops Quay from 1968 until 2017. The centuries old quay, lime kiln and barn from which the dwellings have gradually evolved give Bishops Quay a captivating romantic history that slowly and generously gives up its secrets. The buildings are currently arranged as two dwellings, Bishops Quay having four bedrooms and the Kiln itself currently the owners accommodation with three bedrooms. There is an internal staircase linking the two houses, so they could be used as one large (some 4,000 sq. ft) home if required or preferred. The living accommodation is all on the first and second floors with the ground floor store rooms used as boat stores. With six entrances between the two properties, there is much flexibility in terms of layout. There are currently up to eight bedrooms and five bath/shower rooms between the two properties, with one of the bedrooms able to be retained with The Kiln or let with Bishops Quay – which has been successfully holiday let for some 25 years. With three waterfront balconies and wonderful panoramic river views from every room, this historic, quirky quayside property is unique, individual and idyllic. Bishops Quay is approached down a long private lane above wonderful private meadows which slope down the Mawgan Creek. At the bottom of the lane, there is a large tractor shed on the left, while a lane forks right to the two other properties (owned by one family) positioned behind Bishops Quay and The Kiln. A private gated drive leads down on to the quay itself, which together with the stone jetty forms a private harbour. On one side of the quay is a collection of outbuildings previously used for commercial fishing including a large workshop/store and separate cold store. There are delightful gardens either side of Bishops Quay/The Kiln with many sitting-out areas. Main water and electricity, private drainage, LPG gas, oil-fired heating. Head south from Helston past RNAS Culdrose until you reach a roundabout. Turn left here onto the B3293. At the next roundabout, turn left to Mawgan. Proceed through the village and drive around the creek across two old stone bridges. Shortly after the second bridge and driving uphill, look out for the private drive on the left to Bishops Quay as the road bends to the right. Follow this lane down towards the water and at the bottom, fork left through the private gates to the Bishop’s Quay.